One of America's greatest wine tastings is slated for the last weekend in March. 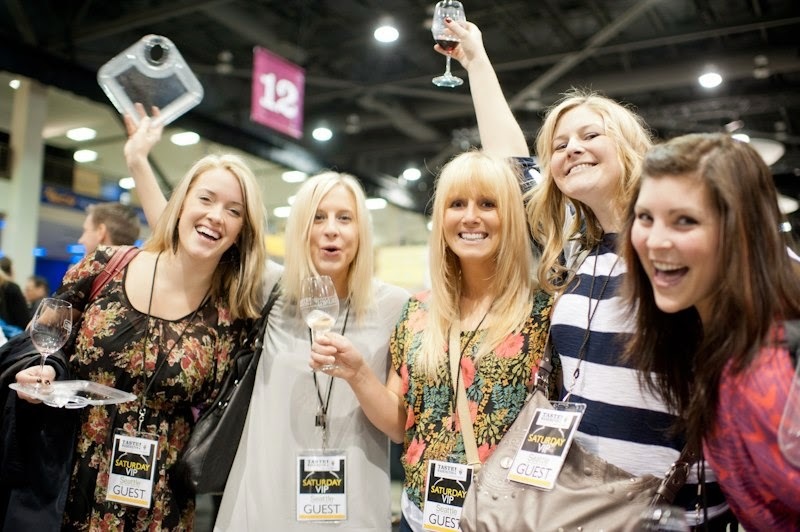 Taste Washington returns to the Century Link Field Event Center for another smashing weekend celebrating everything Washington Wine related. Last year I spent some time with three winemakers to understand their motivation for attending Taste WA. Was it about gaining market share? Driving sales numbers? Expanding their bottom line? I learned that it was much more about being part of a community than it was about bottom line. Dreams, friends and sharing good times are three recurring themes you will hear many winemakers mention when you ask why they started making wine. I would be interested if you hear even one say they got into the wine-making business to make money. Most are following a passion. Passion and excitement is exactly what I found when I talked with David Barringer from Naked Winery in Hood River, Micah Nasarow from Cedar River Cellars in Renton and Kevin White of Kevin White Winery in Woodinville. When I approached each of them to discuss brand impact that Taste Washington had for them; I was expecting to hear about clear, measurable, goals expressed as numbers and objective targets. Instead, I heard their reasons for attending Taste WA were focused on community, friends, fun and sharing their love of wine. What a great reminder that wine, and the Washington wine industry, while a business is also a community and one that acknowledges a collective appreciation for the great wines and great people producing those wines in Washington. David Barringer has been making wine since 2002. His first vintage was comprised of about 200 cases of Merlot, Cabernet Sauvignon and a Chardonnay. Today Naked Winery produces over 10,000 cases of wine with eight primary bottlings and several others made in small lots so David can do some experimenting. David’s main growth strategy is simply through word of mouth and people sharing their experiences. With a winery name like “Naked Winery” you can imagine that David has a light-hearted approach to his business. He wants to keep the fun in people’s wine experience so they can relax and avoid being intimidated by “the rules” of wine tasting. David’s primary goal for attending Taste WA was to expose more people to his wines and Naked Winery’s fun approach to sharing wine with people you love. Micah Nasarow’s first vintage with his Cedar River Cellars brand was 2009. He released slightly less than 200 cases of two wines that year: Bella Bella Syrah and Ava’s Crush Cabernet Sauvignon. Both wines are named for his daughters. Micah and his wife Heather are very committed to their neighborhood and that is a big reason they selected the name of their winery. They are proud to be members of the Renton community and are very active in supporting the local arts and restaurant scene. The Cedar River Cellars 2011 vintage features 6 wines: 2 whites and 4 reds at a production level of roughly 350 cases. Micah is growing his winery slowly. He moved out of his garage into a bigger dedicated space in 2013. He is continuing to invest his money in new equipment and more grapes at a moderate pace. His focus is on single varietal wines made from quality grapes sourced from lesser known vineyards. Taste WA 2013 was the first year that Micah attended the event as an exhibitor. He wanted to be there as part of the Washington wine community. His primary objective was to see some old friends and make some new ones. Cedar River Cellars is growing with a personal touch. Most of Micah’s growth strategy is focused on participating in events where he can interact with people. He is also very focused on building strong relationships in Renton and with Washington Wine lovers. Continuing the theme, Kevin White also attended Taste WA to be part of the Washington Wine community. He is happy and honored to be considered part of our state’s vibrant wine industry. Kevin says “My brand is my passion!” He is certainly standing behind his brand, there is no mistaking it when his name is on every bottle! Attending Taste WA gave Kevin the opportunity to share his wine with more people. He was very happy with the positive response that he received and for the number of people he was able to introduce to his wines. Kevin definitely achieved some notoriety and momentum early. He has sold out of all his fabulous 2010 and 2011 wines. His 2012 will be released in June of this year. His production level is still below 500 cases. 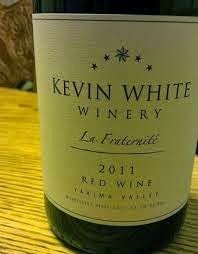 Keep your eyes open for Kevin’s wine this summer. They won’t be around for long and they’re worth snatching up. David, Micah and Kevin will be at Taste WA again this year sharing their love with the world. Hundreds more of our state’s awesome wineries, vineyards and restaurateurs will be joining them. Taste WA is an excellent opportunity to taste and explore the great wines being produced in Washington state. It is also a great opportunity to make personal connections with many of our finest winemakers. Many will be on hand to personally greet you and share their stories. Get on down to Taste WA March 29 and 30th and be part of one of our state’s fastest growing and best communities. Get your tickets here.